The fourth day of our mission trip was decidedly much better than our third. I won’t bore you with the details of our routine; after breakfast we made our way to El Rincon where we spent the morning doing some home visits. While these home visits weren’t as shocking as the previous day’s, we were still impacted by what we saw. If anything we went in with clearer heads and we were able to fully experience what God wanted us to. Unlike Tuesday, we were split into four groups. The groups were not evenly divided (some were as small as three people), but that did not hinder us in the least. We each experienced things completely differently based on our predetermined perceptions and how God spoke to us in the moments that we were open to His word. Our home visits were memorable today because we got to meet some of the children that the members on our team are sponsoring. 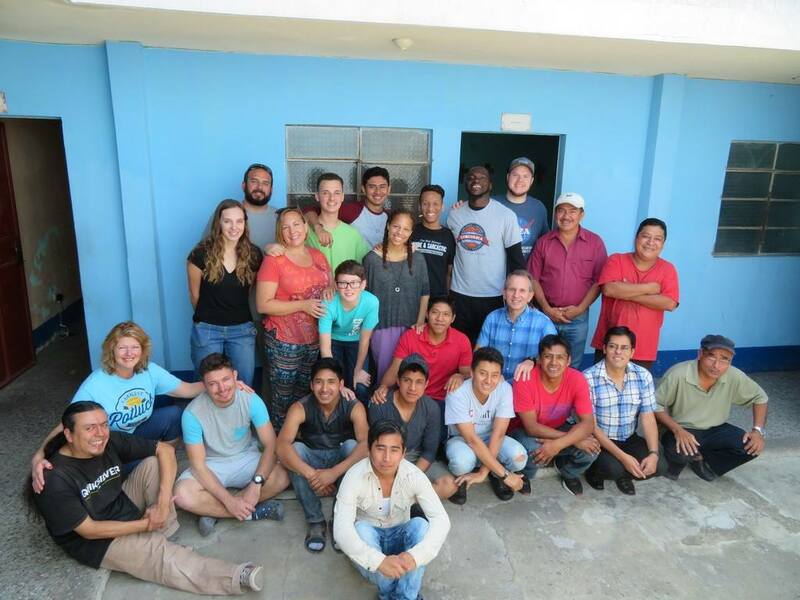 Part of what Groundwork Guatemala does is sponsorship programs for kids and young adults trying to get their education. 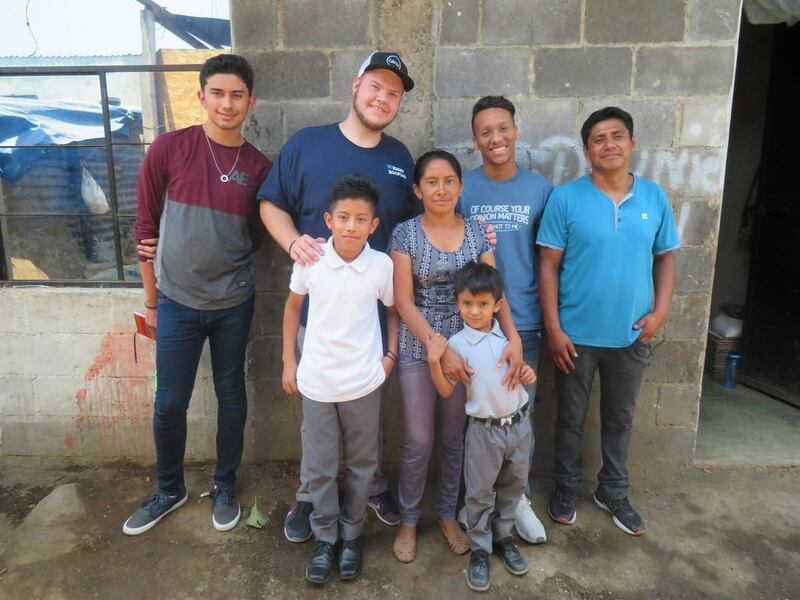 The sponsorship program provides the kids and young adults with uniforms and school supplies, which is a requirement to go to school down here in Guatemala. If you lack either a school uniform or any school supplies, you will not get an education. 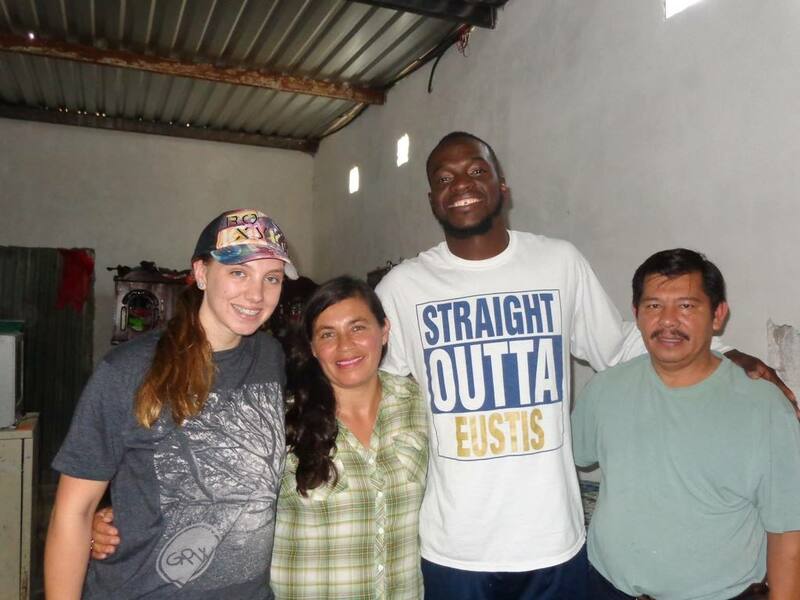 Blake, Stacey, Jen, and Marlin all had the opportunity to meet the children they had decided to sponsor. If the kids were ecstatic, the mothers were over the moon with gratitude and excitement. In the following days, more of us will have the chance to meet our sponsored kids. We did not go ‘home’ after the home visits; we stayed at El Rincon and finally got to meet a few of the children, and by ‘a few’ I mean 150. Our task was to go over what is called a ‘faith lesson’ with the kids, which is equivalent to a Camp Cross service, however it was done outside in the heat and not in the air conditioned venues that we are privy to back home. I think it’s safe to say that we all have a new appreciation of our church as well as the S’mores, funnily enough. Our team had to lead Spanish worship songs, and let me tell you, it is much harder than it sounds. After we sang for the kids (if you can call it that), we performed a little skit and I’m happy to report that it was received well. Kevin was kind enough to take over after that, he taught them the faith lesson that he had prepared a few months in advance. As stated by Kevin, it was his greatest achievement and he could not be prouder of what he taught the children. Unfortunately I can neither confirm nor deny his statements; the most Spanish I understand is ‘hola,’ ‘que paso,’ and ‘bueno.’ However, I will inform you that Kevin forgot his notes for the faith lesson, so I’m not too sure about the quality of his presentation. We then distributed the crafts to the children where they had to color in and put together a pinwheel as well as assemble a bracelet. The scripture we focused on was John 3:16, which was very difficult for us all. None of us had really heard of it before this trip, so it took a lot of preparation on our part. The focal point of our lesson was God’s unconditional and irrevocable love. We not only taught the children, but also the youth. Andres braved the teenagers on his own, and according to him all the ladies were fawning over him. Again, unsure of the credibility of this statement. We seem to have a lot of credibility issues on this trip. The guilt of this has been with John-Michael for the entirety of the night and is sure to plague him for the rest of the trip. Please keep him and the girl in your prayers for the next few days. I ask that you continue to pray for us as we go do more home visits in the morning and teach a new set of children. I’m Amanda Crossman, thanks for stopping by. Today was special. It was our first day doing children’s programming and although the team was a bit nervous I had full confidence in them. 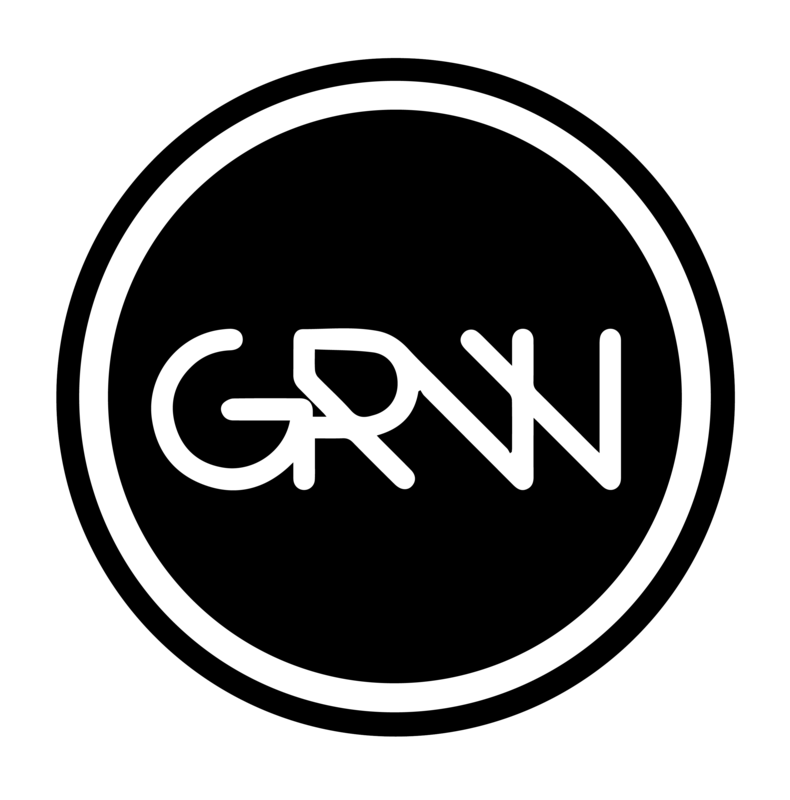 Even though I have the title of leader slapped on me I can confidently say that each of the GROW students and adult leaders are the one’s who have been leading. Amanda and Kiana did a FANTASTIC JOB leading the sing along songs for the kids, which was a blast! Stacy and Jen lead the pack being the team “mothers” and making sure that each person is taken care of before/while we are outside of the mission house. John-Michael took strong initiative by running all of the young children out of energy. Marlin leads us by giving encouragement and having the biggest life-giving smile on the team (this really comes in handy for the early mornings). Andres is leading the youth with Sandra and HE IS THE ONE WHO WROTE THE LESSON PLAN! Joe is leading by his servant heart and willingness to do whatever it takes to get things done. Kevin wrote the lesson plan for the children and is leading it by himself. Lastly Marc is leading by opening up and stepping out of his comfort zone for the Lord. One quick story I want to share with you is about Marc and what he experienced today by his willingness to step outside of his comfort zone. Because I have been down here once before I knew what to expect during children’s programming but the everyone else on the team were walking in blindly (Which is AWESOME for me to watch☺). On Sunday night I had encouraged the team to not let the language barrier be a stumbling block for the relationships that were to come. As kids were gathering I saw a few jumping rope, others playing soccer, some reading, and then I saw Marc, talking and reading intently with a little girl. I think Marc would admittedly say that his understanding of the words in the book were very few yet, he was listening to every word as if the girl was reading to him in English. The little girl reading Marc the book was just the beginning. As we continued programming, we sang sing along songs and don’t get me wrong, everyone on our team was dancing, singing and having a good time but Marc, man this dude looked like he was having the time of his LIFE! He was dancing, spinning, doing the actions, singing out, it was clear that his child like spirit had surfaced and man was it a joy to see! Later when we had arrived back to the house I asked Marc what he thought about today and without hesitation he said that it was one of the best days of his life next to marrying his best friend and the day that his beautiful daughter was born. I am so proud of each and every person on this team for walking into the call that God had put in their lives to serve the people of Guatemala this week. The rabid excitement and anticipation of our first two days has officially started to die down as we have been exposed to the gritty and harsh reality of this country. The morning started like the previous day, however it was admittedly earlier than any of us would have hoped. We had breakfast at 7:30 am with one of the Guatemalan missionaries named Sandra, who joined us for the entirety of the day. After breakfast, we went on our second excursion of the trip. We visited a ministry named Only a Child, which focuses on empowering street boys to turn their lives around and succeed in whatever they choose to do by giving them work ethic that is almost unheard of in this city. The founder of the ministry, George Leger, relayed the origin story of this ministry. Some years ago (‘some’ being more years than I’ve been alive), George was perusing the daily newspaper where he came across an article about a Guatemalan boy, Giovanni, who was brutally tortured and murdered by the Guatemalan police. 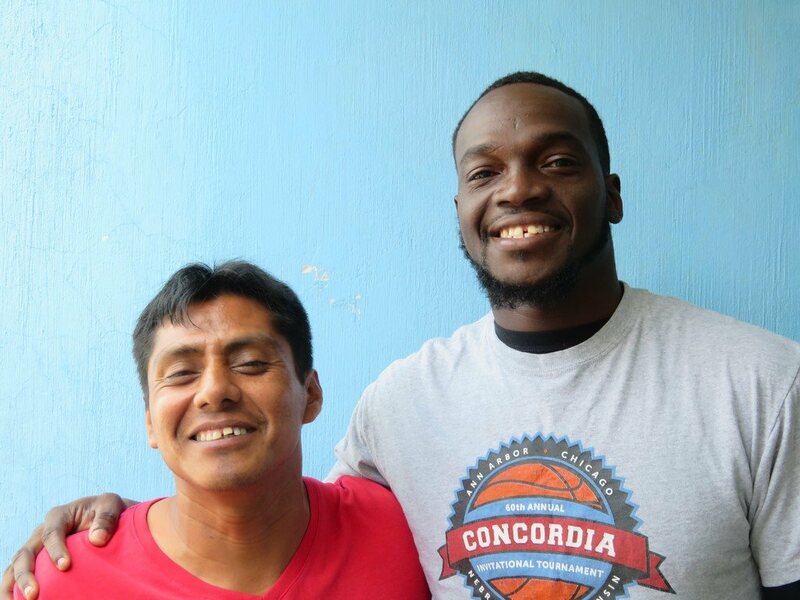 The story of Giovanni completely transformed George’s life and resulted in him moving to Guatemala to start this ministry. (Check out their website at http://onlyachild.org/index.html for more information.) George’s story really struck a chord with us; despite all of the obstacles that was thrown his way while he was starting his ministry, he persevered and God made a way. Afterwards, we went back to the house for some lunch and a bit of recuperation. 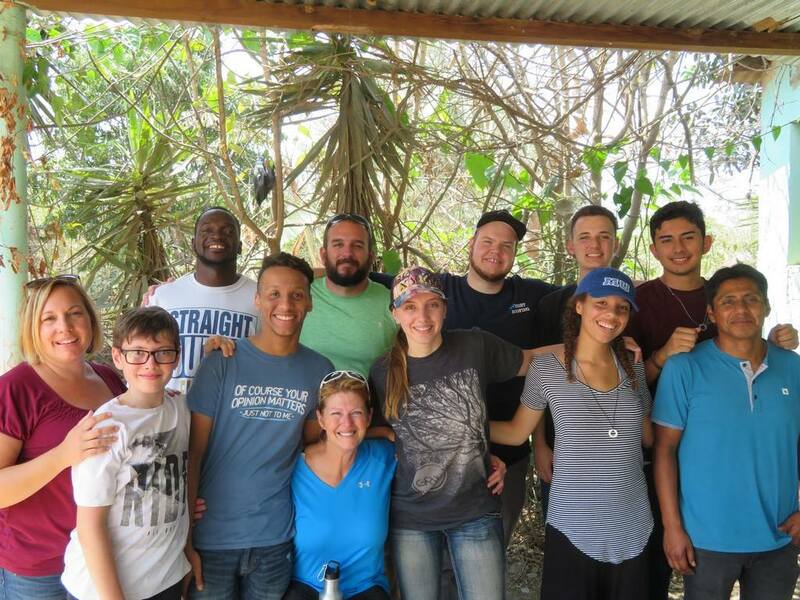 It was there that we were introduced to the Guatemalan missionaries that will be helping us throughout the week. We met Cesar, Sandra (who had breakfast with us), Oscar, Manuel, Julian, Ana, Carlos, and Aracely. We were then split into two groups where we went on our home visits. 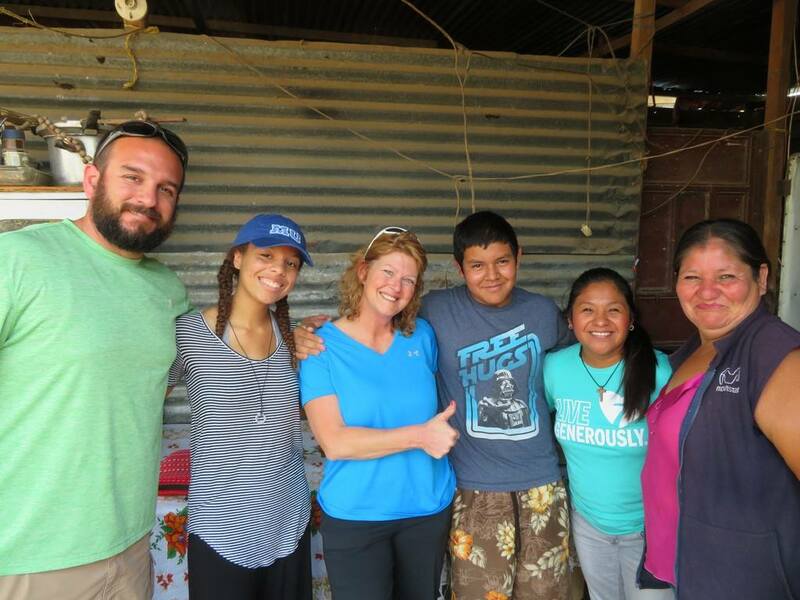 It was on these trips that we witnessed the true poverty of the Guatemalan citizens. They lived in the heart of the dump, literally. Their “houses” are built on garbage that has been coved with dirt. One thing that struck a chord with all of us today was the attitude of the impoverished people. They were all content with what they had despite the fact that they had nothing of material value. Each and every person understood that their relationship with God was much more important than anything the world could ever offer them. Another thing that stood out was the prayer requests of the Guatemalans. Almost all of them, without fail, wanted us to pray for their families and the other people around them. There was not one occasion I can think of where their prayers were based on their own selfish needs. All of us on the team were impacted differently by this experience. 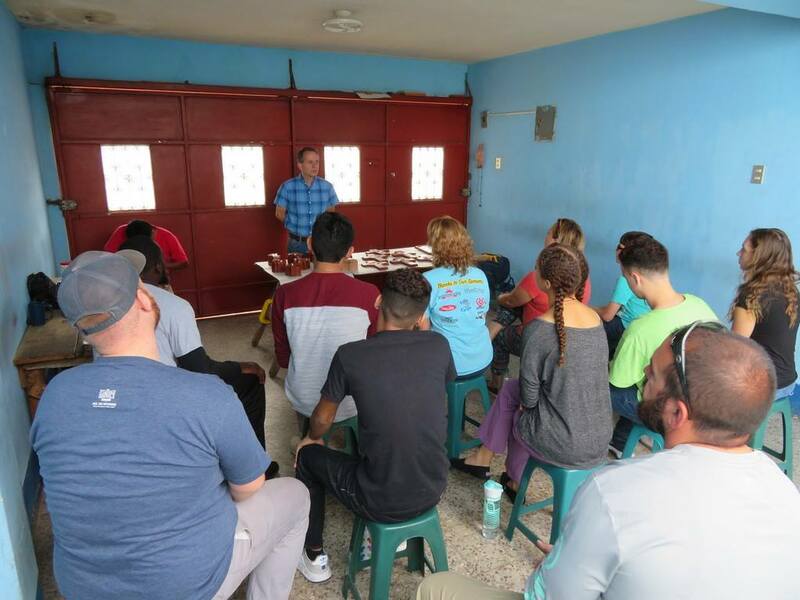 Some of us had complete paradigm shifts, some of us were in shock and could barely vocalize what we were thinking, and some of us could only weep at the disparity of the Guatemalans. We came back to the house and all shared our experiences, learning from each other and strengthening the bond between us. We ended the day with dinner and devotions, spending time reflecting upon the events of the day. Keep us in your prayers as we teach the children about God’s word tomorrow. This is Amanda Crossman signing off, keep it classy planet Earth. As I write this everyone is tucked into bed, the mission house is quiet and I am finally able to reflect on the day. Amanda explained our experiences for the day well through the 559 words she has written. Tomorrow we begin doing our children’s programming! Kevin has just made us aware that we are not sure where this programming will be happening because after 9 years of ministry in the same “public” location; someone has changed the locks of the building leaving us without a place to worship. I asked Kevin what we are going to do and he responded strongly by letting me know that just because a building has different locks on it does not mean our programming is canceled, it just means we have to find a new place to do it. Tomorrow is going to be an adventure for multiple reasons. An adventure that we are expectant and ready to see God move in the lives of the Guatemalan people and within ourselves. We do not know where tomorrows programming will be but, the one thing we do know is that the Gospel will be taught, spoken and heard! Please pray for where it is we will be proclaiming Jesus from tomorrow.